We can produce scaffolding designs, working in conjunction with our experienced team to produce the safest and most cost effective scaffolding solutions. 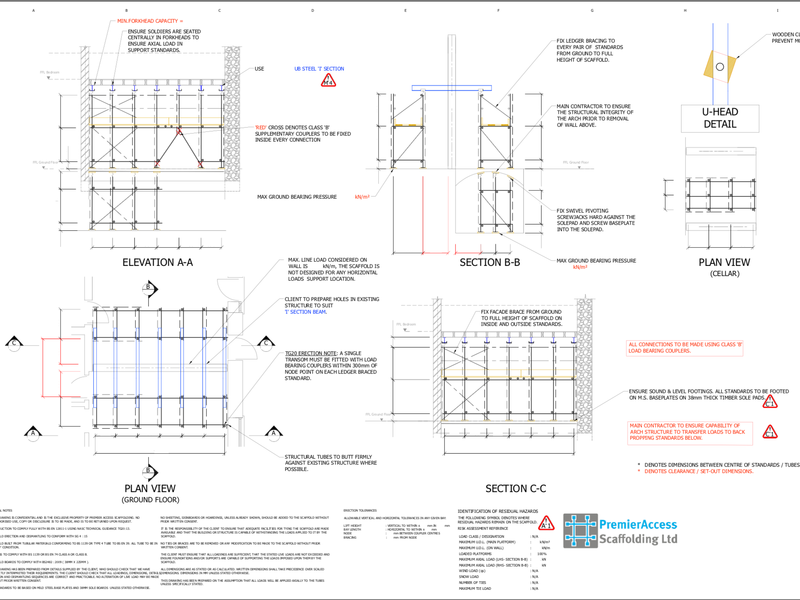 Working with our approved scaffold designers, CAD (computer aided design) calculations are produced to ensure that complex structures can be built to meet your requirements safely and efficiently. This allows us to provide a fully managed service, with all aspects taken care of by us. It's important that risk factors are analysed and eliminated at the earliest possible stage to ensure that the scaffolding is built to an assessed plan that takes all possible hazards into account. If you'd like to learn more about how scaffolding design can help take your project forwards, for both commercial, domestic and restoration projects, please call Premier Access on 01522 542244 and we'll provide all the information you need.